This truly unique home is a must see! 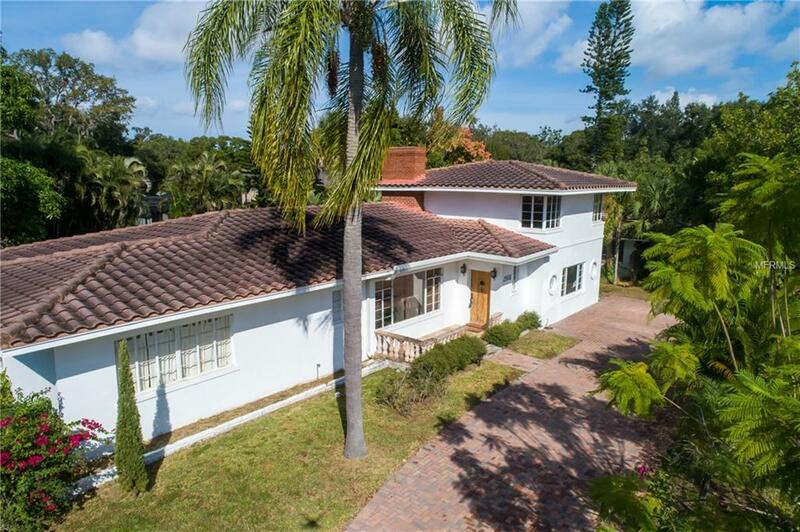 Imagine, 1949 Spanish Charm combined with old world Florida architecture in need of a little TLC to bring it up to modern day standards. This gorgeous home provides a world of opportunity for its next owner to make their own. With its 3 bedrooms and 3 bathrooms along with 2,633 sq. feet, this home provides so much charm. The detail in the well maintained terrazzo floors in the south wing of the home combined with the Cuban tile in the main living space will take your breath away. The large main living space provides a fire place and plenty of space for a combined dining area. A large kitchen with laundry room will make food prep an ease. In the north facing part of the home, there is a large den and upstairs a spacious living area that is ideal for either a master bedroom or guest suite. The outside is a also a real treat. This home was built in a former mango grove and is home to one of the most fruitful and beautiful mango trees still in existence. You will be provided with extra large mangos for years to come. The just over 1/4 acre lot is ideal for an addition and/or a pool. You must come see this home to imagine the endless possibilities to live your dream.